Rediff.com » Business » Are corporate honchos victimised in India? Are corporate honchos victimised in India? A growing number of businessmen find themselves under the lens. Are they being persecuted by an unfriendly government or is it the unravelling of crony capitalism? Mr S has an enviable art collection in his spacious New Delhi home: works by MF Husain, Satish Gujral and Manjit Bawa. Though not known to be publicity-averse and a regular in lifestyle glossies, he recently turned down a request from Business Standard Weekend to review his collection. He was candid enough to admit that he is currently dealing with a regulator, and given the business climate, any report on his personal riches could send out the wrong signals. "You have to be careful these days," were his parting words. The words proved almost prophetic. 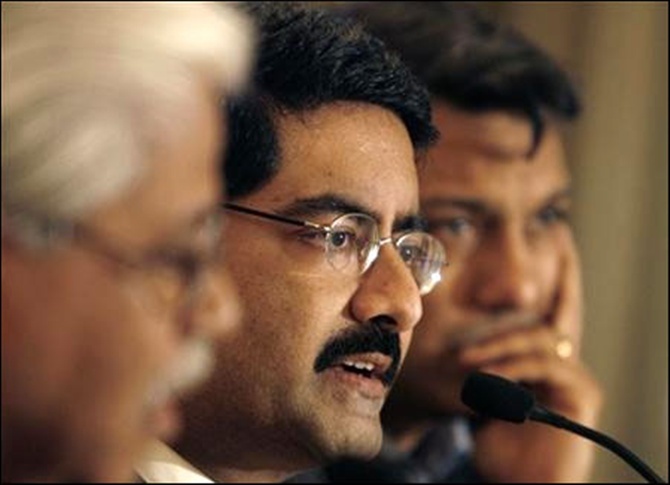 A few days later, Kumar Mangalam Birla was named in a first information report, or FIR, filed by the Central Bureau of Investigation, or CBI, on the allotment of a coal mine in Odisha to Hindalco (a Birla company). 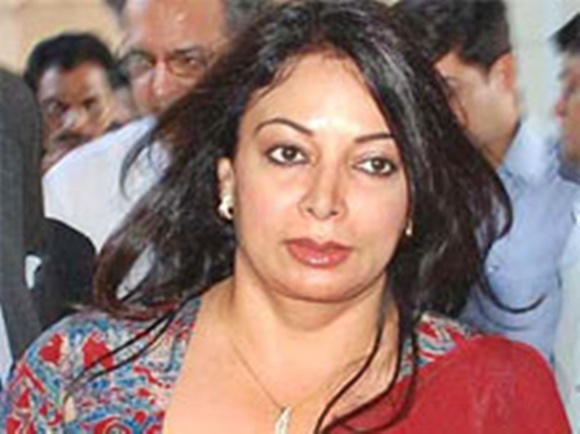 A few days later, the Supreme Court ordered CBI to investigate eight issues arising from the taped telephone conversations of lobbyist Niira Radia with politicians, bureaucrats and industrialists. The investigation is likely to take within its sweep, amongst others, Tata Motors (for supply of low-floor buses to Tamil Nadu). Earlier this week, newspapers reported that the government may take "punitive action" against Karl Slym, the former managing director of General Motors India and the current CEO and managing director of Tata Motors, for regulatory violations that led to the recall of the American car maker's Tavera utility vehicle in July this year. Around the same time, the Economic Offences Wing of Mumbai Police made its fourth arrest in the Rs 5,600-crore settlement crisis at the National Spot Exchange: Nilesh Patel, the managing director of NK Protein, a buyer on the exchange. It had earlier taken into custody three former National Spot Exchange functionaries: Assistant Vice-president (business development) Amit Mukherjee, Assistant Vice-president (warehousing) Jai Bahukhandi and CEO Anjani Sinha. What was perhaps also playing on S's mind was that Kerala Police had in May arrested Amway India Managing Director and CEO William S Pinckney and two other directors, Sanjay Malhotra and Anshu Budhraja, for alleged violation of the Prize Chits and Money Circulation Schemes (Banning) Act. Their plea that they sell FMCGs and not chits had no effect on the Kerala Police, though they were subsequently released. 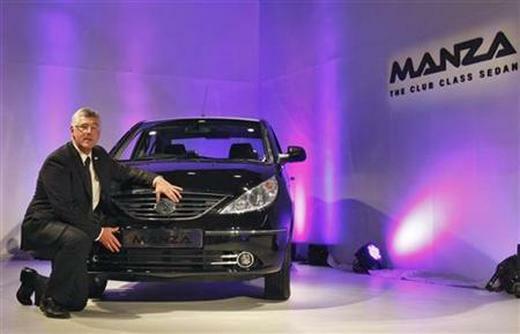 Image: Tata Motors managing director Karl Slym poses with the Tata Indigo Manza club class sedan. On August 7, CBI arrested Micromax co-founder Rajesh Agarwal and six others when they were allegedly giving a bribe of Rs 30 lakh to New Delhi Municipal Corporation functionaries to get an unauthorised property regularised. 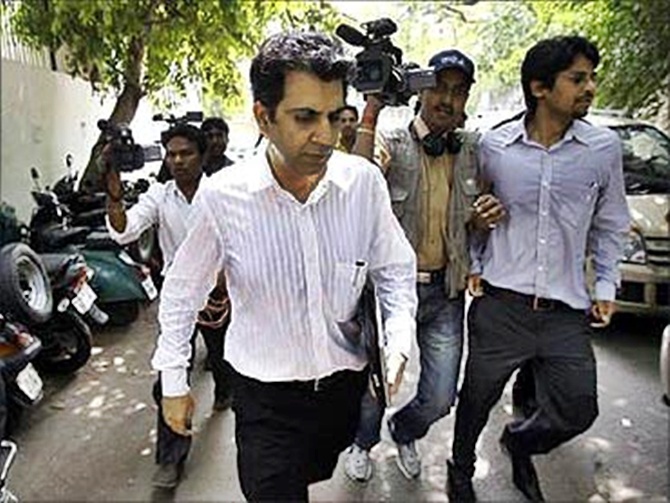 Sanjay Chandra of Unitech, Shahid Balwa and Vinod Goenka of the DB group, Gautam Doshi, Surendra Piparia and Hari Nair of the Anil Ambani group, Karim Morani of Cineyug Films and Sharad Kumar of Kalaignar TV were all in jail for several months in 2011 in connection with the telecom spectrum scam. The message that has gone down is unambiguous: rich and well-connected corporate honchos are no longer untouchable. Hordes of businessmen find themselves under the scanner. The most high-profile investigations relate to the allotment of natural resources: coal and spectrum. In Coalgate - the allotment of coal blocks from 2004 to 2009 -, CBI has filed 14 FIRs so far. The list includes Jindal Steel & Power of Naveen Jindal, Rathi Steel & Power and now Hindalco. The spectrum investigations have brought under the lens, amongst others, the Anil Ambani and Essar groups. Anil Ambani and his wife, Tina, were produced in the special court hearing the spectrum cases as prosecution witnesses in August. In addition, Telecom czar Sunil Bharti Mittal was in March summoned as an accused by the special court to face charges in an alleged conspiracy - dating back to the National Democratic Alliance regime - which caused the government a loss of Rs 846.44 crore. Mittal's Bharti group, along with Walmart, is facing an Enforcement Directorate probe for alleged violations of foreign investment regulations. 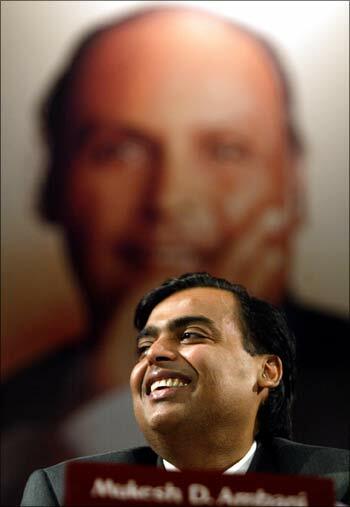 And Mukesh Ambani's Reliance Industries is being investigated by the Securities and Exchange Board of India over allegations of insider trading. Conspiracy theorists insist this is a United Progressive Alliance ploy to defame the people close to Narendra Modi, Gujarat's chief minister and National Democratic Alliance's prime-ministerial candidate for 2014. "Why else would CBI let off Mayawati and Mulayam Singh Yadav (over allegations of amassing assets disproportionate to their known sources of income) and go after businessmen with such vigour?" asks a diehard Modi fan. 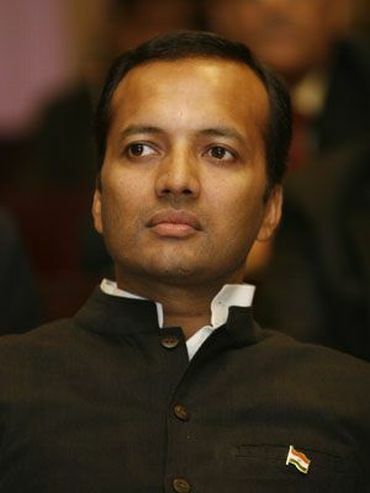 That Naveen Jindal, one of the first to be named by CBI in the coal scam, happens to be a Congress parliamentarian doesn't mean a thing to him. Most others don't see a pattern here. 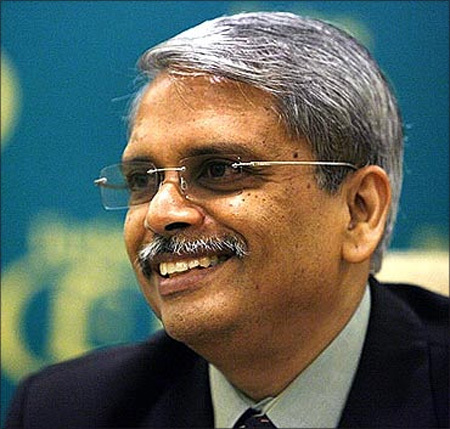 "It is difficult to say why this is happening," says Confederation of Indian Industry President and Infosys Vice-chairman Kris Gopalakrishnan. "There are multiple agencies at work here: the Supreme Court, CBI, the police et cetera." Indeed, it is difficult to imagine that all of them are acting in concert to take on the business class. Thus, the investigations into the coal and spectrum scams are being monitored by the Supreme Court. 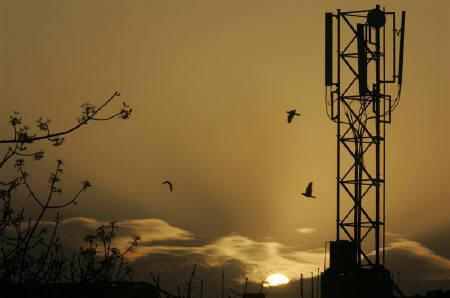 The two investigations were prompted by the Comptroller and Auditor General's, or CAG's, observation that there were irregularities in allotment which caused huge losses to the government: up to Rs 176,000 crore (Rs 1.76 trillion) in spectrum and Rs 180,000 crore (Rs 1.8 trillion) in coal. There are independent vigilantes on the prowl armed with the Right to Information Act. Lawyer and social activist Prashant Bhushan, for instance, played a vital role in exposing the spectrum scam. Then there are upright bureaucrats; the land deals of Robert Vadra, the son-in-law of United Progressive Alliance Chairperson Sonia Gandhi, were exposed by Ashok Khemka, a Haryana bureaucrat. But Gopalakrishnan does admit that this has exposed the extent of crony capitalism in the country - the seamier side of Indian business. "There have been instances of misuse of access; we have to accept this," he says. The Supreme Court was more categorical in its observation while ordering the probe into the Radia tapes. "Prima facie, there is a deep-rooted malaise by private enterprises in connivance with government officials," a bench headed by GS Singhvi said. "Radia's conversations suggest that influential persons indulged in corrupt practices for private gains." Despite more than 20 years of liberalisation, the nexus between business and politicians and bureaucrats remains strong. There is opacity in allotting natural resources and in modification of contracts - a breeding ground for cronyism. A senior CBI investigator says corporate rivalry may have a hand to play in some of the cases. A few months ago, when a recorded CD of a conversation between Unitech's Sanjay Chandra, 2G scam accused out on bail, and a CBI prosecutor surfaced, the agency didn't rule out the possibility of corporate rivalry. 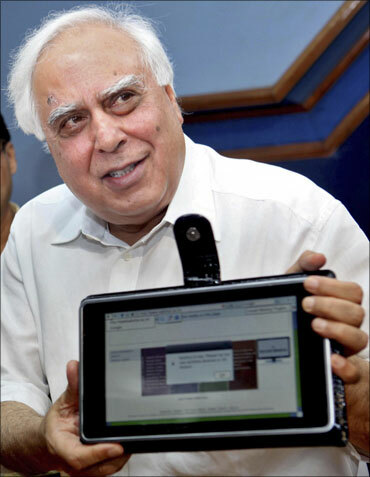 Telecom Minister Kapil Sibal had told a newspaper in July 2011 that the spectrum scam was a result of the feud between old and new telecom operators. "Because the industry is at war with itself and because they are trying to destroy each other, the consequences are that we are destroying the hen that lays the golden eggs. The industry does not speak in one voice. And, I am sorry to say, the reason for that is that each one of them had at some stage or the other sought favours from the government." In July this year, Business Standard had asked Pinckney of Amway, a month or so after his release, if his arrest had something to do with his company becoming a large player in the FMCG market. "I understand that if you get bigger, more folks look at you," he had replied. "Maybe this is because of the folks who personally do not like it. They have decided that it is bad, for everybody else as well. And, (then) they become crusaders." Businessmen live in morbid fear of being named in FIRs, let apart appearing in a court of law, being examined by investigators and going to prison. 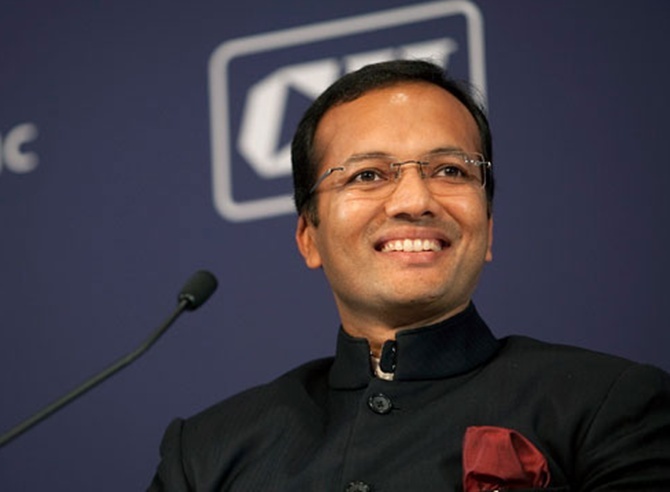 Business Standard had met Naveen Jindal the day after the CAG report on allocation of coal blocks came out. He was clearly irritated but combative. Since then, people close to Jindal say he has taken it upon himself to look after the whole litigation, and the top managers have been told not to worry about it and run the business. Bankers, who will partly fund his investment plan of over Rs 50,000 crore, are curious to know about the case but, Jindal's friends insist, that doesn't affect their decisions. Of course, he has turned publicity shy. The same is true of Sanjay Chandra. The once-affable real-estate tycoon stays away from the media; every time he has to go abroad, he needs to take the court's permission. 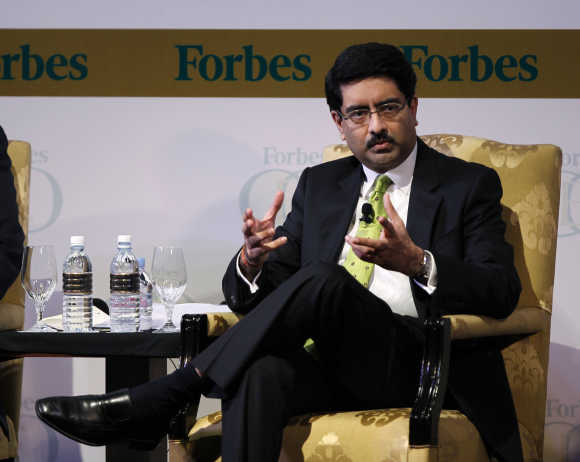 It is Kumar Mangalam Birla's naming in the recent CBI FIR that has riled businessmen the most. If it can happen to a venerable name like him, where is the guarantee for all others? Prime Minister Manmohan Singh's office clarified that there was no wrongdoing on the allotment - Hindalco's application came with a strong letter of support from Odisha Chief Minister Naveen Patnaik. Will the prime minister's office come out in support of lesser businessmen? "Earlier, only small and medium enterprises were harassed," says a South-based businessman. "But now it looks like nobody is being spared." On Friday, industry association Assocham published an open letter to Prime Minister Singh. "We find ourselves in a situation where half-baked cases are being slapped against top leaders of industry," it said. "We fear that more industrialists could be targets of the CBI probes which in all likelihood will not bring out any substantial evidence of any wrongdoing." Some lobby groups have asserted that this will worsen investor sentiment which is already at rock bottom. Gopalakrishnan says states frequently come out with special offers to woo industry, but if such decisions are "reopened five or 10 years later and looked at with a different angle" then few would accept them. Former CAG Vinod Rai, the man behind the devastating reports on coal and spectrum allocations, said in a recent interview that claims of such investigations impacting the business climate may be exaggerated. "It is not as if the investor is not aware of what is happening or how opaque things are. Crony capitalism is not something created by CAG." The scare has even spread to bureaucrats. The fear that their actions may be called into question years later has made them extremely reluctant to take decisions. Still, many believe the situation is better compared to the Raid Raj unleashed by Vishwanath Pratap Singh when he was the finance minister (December 1984 to January 1987) and the Janata Party (1977 to 1979) witch-hunt against businessmen close to Indira Gandhi. Kumar Mangalam Birla's granduncle, KK Birla, was on the Janata Party hit-list because his companies had placed advertisements in Congress souvenirs and given Jeeps to the party for election work. KK Birla was able to leave the country (for Paris) just in time because then foreign minister Atal Bihari Vajpayee had tipped him off before his planned arrest. A few months later, he returned to India after Vajpayee gave him the all-clear signal. In the current climate, few would dare to play Vajpayee's role. Image: S Gopalakrishnan, Executive Vice Chairman, Infosys Technologies.